Underwater film footage revealing the damage allegedly caused by illegal dredging is being published today by The Ferret in the wake of claims that protected wildlife areas are being “pulverised” by fishing boats “flouting the law”. The video was produced by campaign group, Open Seas, which has been investigating recent allegations of illegal scallop dredging at Loch Gairloch in Wester Ross. The protected area is closed to certain types of fishing, including scallop dredging. The government’s Marine Scotland is investigating claims of illegal acts by fishing boats. Open Seas says there is a “systematic problem” with illegal dredging that the Scottish Government needs to urgently address. Vessel monitoring needs to be improved, it argues. The group claims that larger boats may be switching off tracking systems to dredge illegally, while small boats without mandatory tracking could also be breaking the law. Illegal dredging in protected areas has previously been blamed for damaging seabed habitats in the Firth of Lorn and Loch Carron. In the Firth of Lorn in Argyll, divers filmed broken shells, dislodged boulders and fresh scallop meat in February 2018. Last year damage to a rare reef in Loch Carron in the west Highlands was discovered, leading to an emergency closure of the waters. 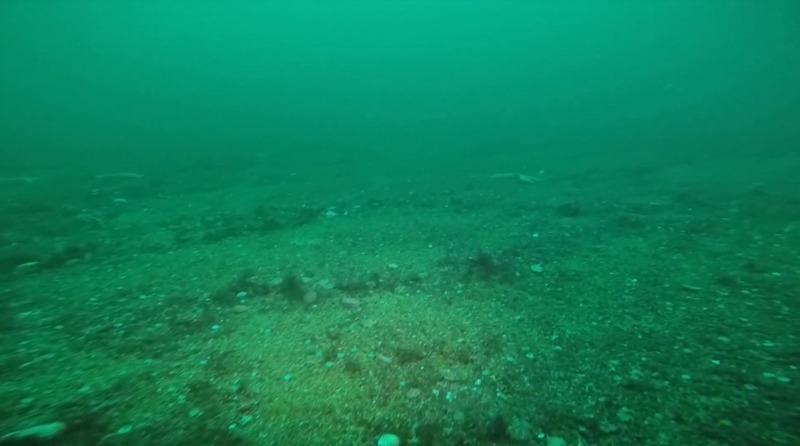 A diver who supports Open Seas, George Brown, shot footage in Gairloch in November following multiple reports the previous month of suspected illegal scallop dredging. These inshore waters at Gairloch are a known herring spawning ground and one of the few areas where scallop dredging is banned. Open Seas claims its footage shows “devastation below the water”, alleging that scallop dredges operating illegally “scraped across the seabed, flattening the habitat”. The group says that illegal dredging is damaging the future of the inshore fishing industry by “destroying nursery grounds for fish and shellfish”. Open Seas also says that vessel monitoring needs to be improved and that the Scottish Government must meet its legal obligations. In 2009, Europe-wide control regulations were established so that all fishing vessels greater than 12 metres in length must be equipped with tracking devices to provide location, course and speed. These devices are collectively referred to as “vessel monitoring systems” or VMS. Open Seas is calling for all scallop dredgers to be fitted with tamper-proof and high definition vessel tracking devices, and the fishing industry has recently backed better tracking. “Calls for enhanced vessel tracking are welcome – although the response from Scottish Ministers has been deafening silence,” said Phil Taylor, the group’s head of policy and operations. Taylor argued that the Scottish Government has the power to “fast-track improved monitoring” for scallop dredge boats of all sizes by January 2019. He added: “This needs rolled out to the remaining 80 scallop dredge boats in the Scottish fleet. Vessel tracking must be tamper-proof, record locational data at least once every minute, store and send when out of signal, and be connected to gear sensors so that it is an effective deterrent. “We raised the alarm in January 2018 with reports of illegal dredging in marine protected areas. Since then nothing has happened to resolve the problem. By failing to take action, ministers continue to allow environmental protected areas to be pulverised by scallop dredges and fall well short of their international, European and domestic legal obligations. An eye witness who claimed to have witnessed illegal scallop dredging near Loch Gairloch told The Ferret she had since seen a boat fishing illegally for prawns in the area. Patricia Sturrock said she saw a scallop dredger operating in the protected zone on the 1 November and has provided inspectors at Marine Scotland with information and photos. She added: “I walked towards Carr point along the road. The first photo shows the view of the scallop dredger over the top of Carr point, and was taken from the end of the tarmac road. On seeing the dredger, I was aware that it was so close to shore that it must be within the protected area where dredging is not allowed. “I walked onto Carr point and watched it with binoculars. I could see that the gear was in the water, and took several photos, to illustrate the location relative to Carr point rocks and also to the west tip of Longa. Sturrock said she has since submitted another report to Marine Scotland after photographing a prawn trawler with its “nets down in the loch” on the 20 and 21 November. The Scottish White Fish Producers Association (SWFPA), which represents over 240 vessels including 30 scallop dredgers, has called for better vessel monitoring. In a letter last month to the cabinet secretary for rural economy, Fergus Ewing, the association argued that there was “no place for illegal fishing” and called on the Scottish Government to introduce a “licence condition which makes it illegal to dredge for scallops without a secure on board vessel monitoring system”. The letter was written by the association’s chief executive, Mike Park. “SWFPA was instrumental in calling for electronic monitoring on board scallop vessels above 15 metres,” he said. A Scottish Government spokesperson said: “Illegal dredging is completely unacceptable. However Marine Scotland Compliance are actively investigating certain allegations. We cannot comment on any live investigations. “The statement is inaccurate and misleading to assert the Scottish Government have failed to act. Marine Scotland currently deploys a range of assets to ensure high levels of compliance with fisheries and environmental regulation. “To support further enforcement improvements the Rural Economy Secretary announced a £1.5 million investment in fishing vessel tracking and monitoring technology at the Inshore Fisheries Conference in October. Film footage thanks to Open Seas. This story was updated at 19.36 on 4 December 2018 to add a comment from the Scottish Government.